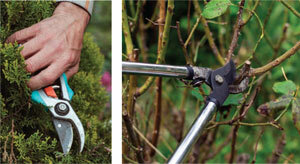 Pruning is one of those gardening tasks that can be fraught with uncertainty. It’s all about the timing—prune a tree or bush at the wrong time of year and at best, you’ll forgo blooms or fruit for the season; at worst, you can irreparably damage or even kill the plant. So how is one to know the best time to prune? the timing of pruning is determined by when the plant blooms. if it blooms in late summer or early fall, you can prune in early spring. Early spring, before many plants have leafed out and before new growth has begun, is an excellent time to prune, according to Kathleen Reed, Associate Extension Agent for Agriculture and Natural Resources at the Roanoke County/Roanoke & Salem office for Virginia Cooperative Extension. “Pruning improves the appearance or health of plants, controls the size and shape, helps to prevent property damage or personal injury, and influences the fruiting and flowering of some plants,” says Reed. Cool weather pruning is also a good time to prune many plants because you can see their natural shape, says Jane Baber White, a Lynchburg-area landscape designer for over forty years who specializes in historic garden restorations. Cool weather pruning also reduces stress on the plant, although ideally, you’ll want to wait unto the danger of hard frost has passed to do heavy pruning. “You have to think of pruning cuts as open wounds on the plant until they heal,” says Reed. Pruning at the end of the dormant season means plants will heal during the rapid growth spurt of the spring, leaving plenty of time for them to recover during the growing season. While now is the ideal time to prune many of the plants in your garden that benefit from an occasional or yearly trim, some should be left alone. Generally speaking, the timing of pruning is determined by when the plant blooms. If it blooms in spring, wait to prune until after it flowers; if it blooms in late summer or early fall, you can prune in early spring. This is because some plants bloom on old growth, whereas others bloom on new growth. 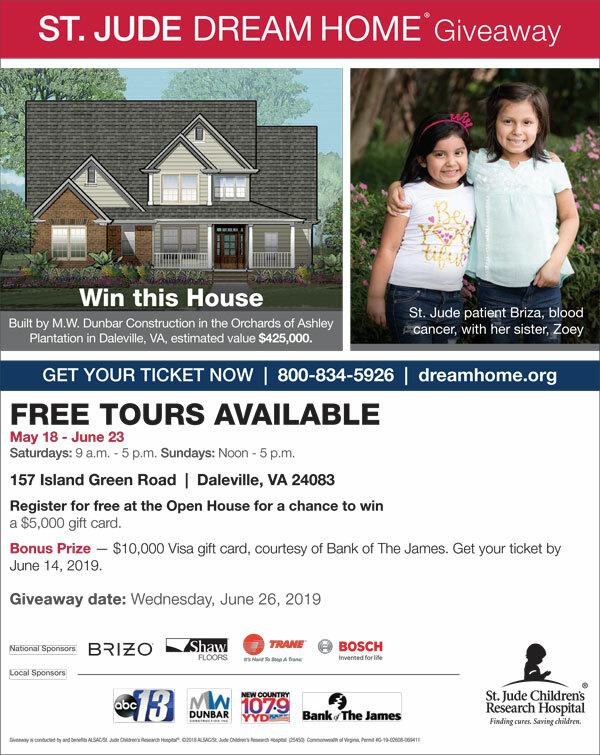 Spring blooming shrubs, such as forsythia, azalea, and lilac all bloom on old wood—that is, their buds were set last year. If you prune them now, you’ll lose your upcoming spring flowers. By pruning immediately after flowering, you’ll ensure that these plants have time to form next year’s crop of flowers. Summer bloomers, such as crape myrtle and rose of Sharon, bloom on this season’s growth, so they can be pruned in early spring before they leaf out. Non-blooming plants, such as evergreens or deciduous shrubs, can be pruned in early spring as well, and even into the early part of the summer. Pruning plants in late summer risks encouraging a flush of new growth which may not harden before colder temperatures and frost sets in, causing damage to the plant. 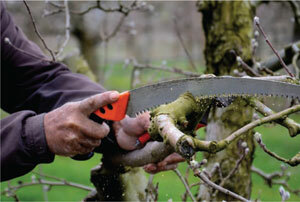 For deciduous trees, now is also an excellent time to prune. However, avoid pruning while they are leafing out, as the tree’s energy reserves are low and bark can be easily damaged. If a plant has been neglected, they may need a hardy pruning to rejuvenate, regardless of when they bloom. It is best to tackle this before they fully leaf out. You may lose a season of blossoms when you do this, but a healthier plant will make it worthwhile. Reed advises pruning up to thirty percent of an overgrown or damaged plant if necessary. It is important to prune with the proper tools. Use a tool with a blade that will easily cut through the thickness of wood without crushing or damaging it. 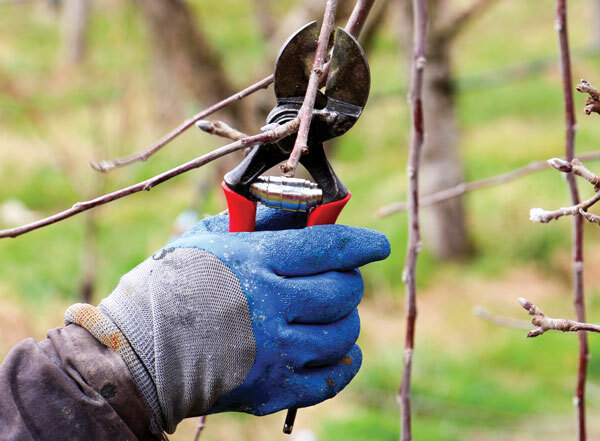 For branches under three-fourths of an inch in diameter, a hand pruner should work well. Lopping shears, with their longer handles, are designed to cut branches up to about 1¾ inches. Pole pruners can be used to reach branches up to 2 inches in diameter as far as 12 feet off the ground (although care should be exercised when trimming around utility lines.) Chain saws can be used for larger branches, with all the recommended safety gear. Hedge clippers can be used on thinstemmed hedges. No matter the tool, they should be properly maintained after every usage. Clean them after every use, taking care to disinfect them to discourage diseases from spreading. Rubbing alcohol, Lysol and Listerine are effective while remaining non-corrosive to metal. Bleach or other heavy duty cleaners, such as Pine-Sol, can be highly corrosive to metal and should be avoided. Following the cleaning of your blades, dry and oil them to maintain them for years to come. Regular sharpening is also recommended.